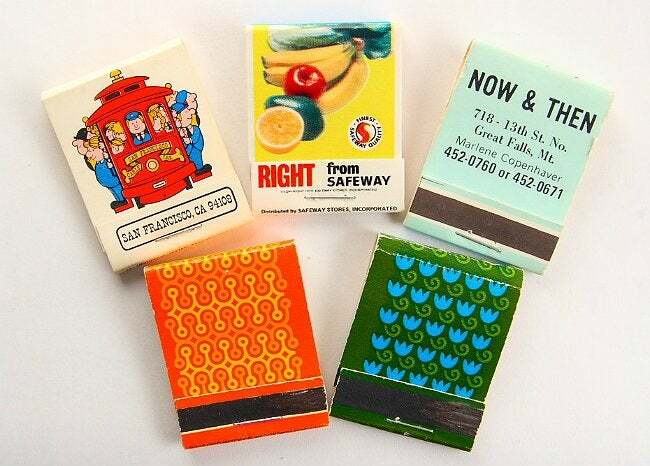 Matchbooks aren't just for lighting up anymore. Make this quick, portable, and free notepad to keep all the little things in one place—your back pocket! Known as phillumenists, or “lovers of light,” matchbook collectors number about 7,000 worldwide—the population of a small Midwestern town. And really, it’s hard not to appreciate the handiness and beauty of the tiny packaging. Part of what turns matchbook users into collectors are the creative designs that grace the covers, from those of advertisers who produced pocket-size promotions to works by budding artists. 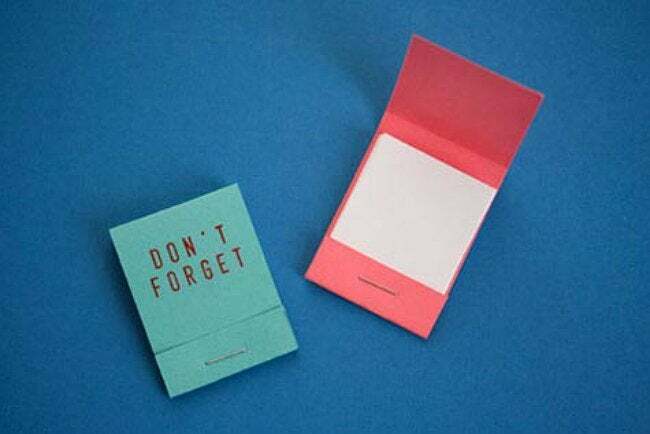 Whether you have a single memento matchbook or an entire lot, you can continue to enjoy that packaging long beyond the last light by converting it into a staple-bound notebook. Measuring just 1.5″ x 1.75″ when folded, they’re the perfect size for some scribbles—large enough to write on, but small enough to slip in your wallet. Any matchbook will work for this DIY, but choose a vintage one for a more colorful look. First things first: Remove all those matches! Measure the area where the matches were, and cut paper to size. Stack the pages neatly, place them inside the book, and fold the bottom lip over them. A single staple should hold all papers in place. Use your tiny notebook for anything: Rip out a page with your contact info for a new friend, jot down a grocery list, or finally map out that secret middle school invention. Vintage lovers, MacGyvers-in-training, notebook addicts, and traditionalists will all love having a one-of-a-kind travel-size notebook. So, if you do decide to make one for a friend, remember that it’s best to make two at a time—just in case you’re tempted to pocket one for yourself!